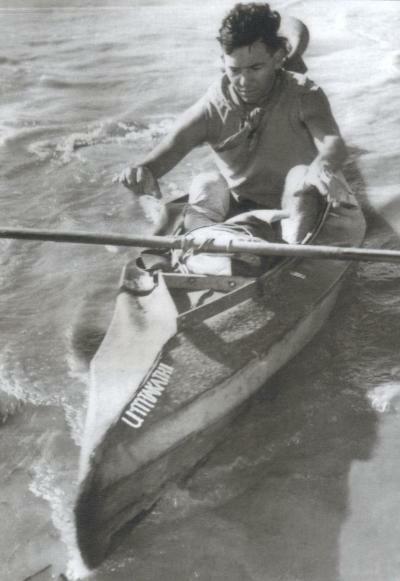 The idea of racing down the uMsundusi and uMngeni Rivers was born during World War II when Ian Player, sitting around a campfire in Italy, tired and homesick, came up with the idea of formalising a race downriver from Pietermaritzburg to Durban. After an initial expedition was planned but then abandoned halfway in 1950, eight paddlers set off from Alexandra Park on 22 December 1951. Six days, 8 hours and 15 minute later Ian Player (pictured) was the only paddler to finish, having survived two days of low rivers and then a flash flood and finally a night adder bite. The eight paddlers were meant to race in pairs, but Players partner Miles Brokensha quit at Mfula Store on Christmas Eve, so when a “bedraggled and exhausted” Player arrived in Durban he was outside of the initial set of laws, but undisputedly the first person to “do the Dusi”. Player won the next two races with Fred Schmidt before retiring, unbeaten in the Dusi. By the 1956 race the entry had reached 48 starters and changes started happening. From a non-stop format the race implemented compulsory overnights stops at Dusi bridge and Khumalo’s Causeway. For the first time the field of six doubles and 18 singles were set off in batches, on what was a desperately low river. 1957s victory for Ernie Pearce and Bob Templeton was due in part to the advent of fibreglass singles. The first K2 won the race in 1958 when Rob Gouldie and Derek Antrobus won in very low river conditions. Transvaalers Harry Fisher and Gordon Rowe dominated the race for the next six years, from 1959 to 1964. The only blight on that record was Rowe wrapping and sinking his K1 in Tegwaan rapid after deciding to ditch his canvas buoyancy bag to save weight. 1965 saw soup kitchen introduced at the overnight stop as the number of starters reached 56. Don Cobbledick and Charlie Mason won that year in a K2, while a certain Graeme Pope-Ellis with Richard Hackland finished ninth. 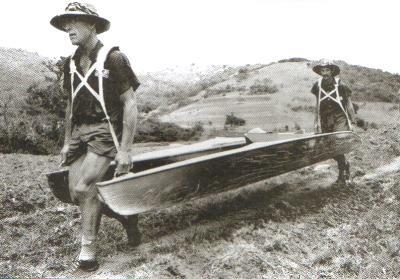 In 1966 the Dusi scooped its first significant sponsor – the paddlers raced in bibs proclaiming “There is more in Milk!” Legendary Iron Man Jimmy Potgieter won that year with Clive Crawley. The race entry topped 100 for the first time in 1967 when 112 paddlers started on a full river with the Cape brothers Roelof and Willem van Riet ready to start their grip on the race. They could have, or should have won their first title that year had it not been for a string of mishaps, letting Charlie Mason and Ken “Tank” Rogers onto the top step of the podium. 1969 is still remembered as the lowest Dusi ever. That year the organisers implemented several new checkpoints to prevent short-cuts, which made the tough race an extra 15km longer. The Van Riets won it, but second, albeit two hours later, was the crew of Pope-Ellis and Hackland. In 1970 the race allowed K1s to race alone instead of in pairs – and Jimmy Potgieter finished second in a K1 behind the van Riets. In 1971 Graeme Pope-Ellis teamed up with Eric Clarke to finish third, and then won the first of three back-to-back victories in 1972. 222 paddler each paid R3,60 to enter the race. In 1975 Pope-Ellis teamed up with Peter Peacock to win a race that was now known as the Olympic Motors Dusi, after a long run as the Milk Dusi. Tim Biggs was third in a K1 and broke the K1 race record despite low water and a lengthened course. That year one-legged Roger Collinson completed the race using crutches on the portages. 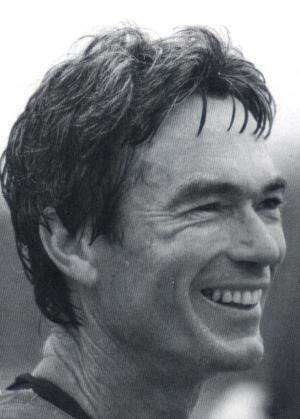 Pope-Ellis and Peacock won four titles on the trot, but that golden run came to an end in 1979, when 398 paddlers started, and Pope-Ellis, racing in a single, smashed a huge hole in his deck while he was leading the race, finishing fifth behind winners Tim Biggs and Robbie Stewart. The entry was skyrocketing now and in 1980 666 paddlers started a very low Dusi (only 401 finished) as Peacock and Pope-Ellis returned to the top step of the podium. 1981 was another milestone year for the race. Sponsored by the multivitamin company producing Theragran M, female and black paddlers were allowed to compete legally for the first time. Simon Mkhize became the first black paddler to finish the Dusi and Daphne Hawarden paddling with her husband Andre in a mixed double was the first woman to get onto the finishers roll. That year Graeme Pope-Ellis and Danny Biggs went toe-to-toe in an epic battle on a low river – Danny Biggs only paddled the boat for 15 minutes on the long second day. Pope-Ellis became the first paddler to win the race outright in a K1. Biggs got his revenge in 1982 on a full river racing with his brother Tim, beating Pope-Ellis and his new British partner Tim Cornish on the run over Burma Road. The tables were turned in 1983 when Mainstay took over as the title sponsor when Pope-Ellis and Cornish beat the Biggs brothers to give “The Pope” an unprecedented tenth win. That year the starters numbered 1020 – the first time that the entry had broken through the 1000 paddle barrier. This was a golden era for the Dusi as South Africa – in the grips of sporting isolation – hero worshipped “The Dusi King” Graeme Pope-Ellis and his adversaries. 1984 saw several rule changes. For the first time paddlers were allowed to leave the valley overnight. Curiously the Burma Road portage was banned. On a low river that caused havoc on the field of 533 paddlers. Pope-Ellis’s dominance came under real pressure in 1985 when John Edmonds beat him on a low river. It was another pivotal year as women were allowed to race in K1s for the first time – as long as they were accompanied by a male paddler! Marlene Boshoff was the first woman to finish the race in a single, beating her twin sister Jenny Bentel. 1986 saw the race committee formalise the race as a K2 championship event, to alternate with K1s each year. Pope-Ellis and Cornish won again, breaking the record on a flooding river. 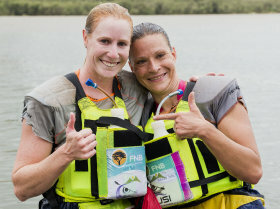 Marlene Boshoff and Jenny Bentel set another record by becoming the first female K2 crew to complete the Dusi. Hansa stepped into the race formally in 1987, bringing with it heightened media exposure and the entry numbers after dwindling somewhat, started to surge again. Pope-Ellis broke the K1 record by beating John Edmonds to claim his 13th title. Camps Drift canal was completed before the 1988 Dusi, and the race moved two kilometres upstream to start above what was named the Ernie Pearce weir after the iconic Dusi boss. Pope Ellis and Cornish won the K2 title, despite a famous scare in the downdraught of the SABC TV helicopter going through Washing Machine. 1989 saw Edmonds exact revenge for the race two years before when he outsprinted Pope-Ellis to the line in the closest finish ever. 1990 saw the completion of Inanda Dam which profoundly changed the race, covering the Day Two sandbanks and creating a 10km flatwater haul to the new overnight stop at Msinsi Resort. Pope-Ellis and Cornish won again – “The Pope’s” 15th and last title. 1647 paddlers took part in the bonanza race that year that was marred by the death of Douglas Green while portaging through Devils Cauldron. John Edmonds won in 1991, thanks mainly to a gamble to shoot the new Pumphouse weirs on the final day. 1992 saw the Gauteng crew of Mark Perrow and Neil Evans win the title in a race remembered for sanction for their wearing illegal personal sponsors branding – a sign of the commercialisation of the sport. 1206 paddlers raced in 1993 when a great race between Edmonds and Kevin White ended when Edmonds damaged his rudder shooting the Pumphouse weir that had helped him win two years before. But commercialisation reared it’s ugly head. 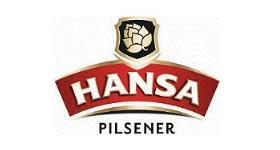 Perrow was disqualified for contravening personal sponsor regulations, and then Hansa ended it’s title sponsorship. The turbulent nineties also saw the increase of tensions between the valley residents and the paddlers, and stone-throwing and muggings stole the headlines in the newspapers. Edmonds and White won in 1994 – the first time the race was run without a title sponsors since 1966. That race was marred by the drowning of sweep Chris Davey, trapped in his plastic at Thombi rapid. Panasonic assumed the title sponsorship in 1995, and in 1996 a new rule saw Day Two and Day Three start with the top ten paddlers all in one batch, instead of elapsed time as had been the case. Mark Perrow and Neil Evans banked their Day One five minute lead to win comfortably. 1998 saw 19 year old Ant Stott win with Kelby Murray, as a new era started to dawn on the race’s winners. 1999 – the race now sponsored by Powerade – saw Pope-Ellis protégée Martin Dreyer win the K1 title with a brilliant run around the hyacinth portage on the outskirts of Durban. Third placed Wayne Volek was disqualified after testing positive for using an illegal stimulant. Sentiment to “do the Dusi in the Millennium year” saw entry numbers soar to 2217 starters in 2000 when Dreyer won his second Dusi title, with Mark Perrow. The Millennium race was tarnished by the tragic drowning of student Shaun Manion on the first day. Dreyer proved to be the dominant personality of the new Millennium, with the race enjoying a co-sponsorship between Hansa and Powerade until 2010. Dreyer won K2 titles with Deon Bruss (2002), Ant Stott (2004), Hank McGregor (2006) and in 2008 he paved the way for another slice of Dusi history when he partnered Valley of a Thousand Hills raised Michael Mbanjwa to become the first black paddler to win the race. In all Dreyer won seven Dusi titles before hanging up his paddles to mentor Valley youngsters through his Change-A-Life programme. He is still widely known as the “Dusi Duke”. Abbey Miedema dominated women’s racing with seven titles between 2003 and 2010, broken by Alexa Lombard in 2004, before Miedema relocated to Canada. The Unlimited assumed the title sponsorship in a pivotal year that saw the race move to a date in mid February to deal with ongoing water purity challenges. 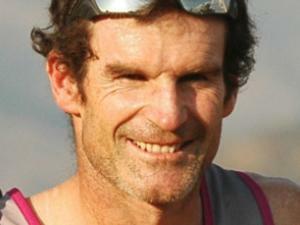 Graeme Pope-Ellis was killed in a farming accident in late 2010, and the 60th anniversary race on 2011 was staged as tribute to the legendary “Dusi King”. Andy Birkett won three titles in a row from 2010 to 2012, two with his doubles partner Jason Graham. 2013 saw a slice of Dusi history when Lance Kime and his older sister Robyn Kime won the men’s and women’s titles respectively, the first time that siblings have won the singles crowns in the same year. In the same year the Dusi stepped into a new era of professional management with the appointment of a full time General Manager, and a bold restructuring of the race’s commercial interests and sponsorships. Sbonelo Khwela became the race’s second black champion when he raced to the 2014 K2 title, while the women’s race produced one of the closest encounters ever, with Robyn Kime and Abbey Ulansky holding off the valiant efforts of Abby Adie and Czech Republic’s Anna Adamova. 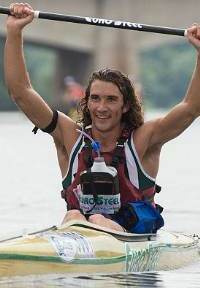 It was a record ninth Dusi title for Ulansky. The 2015 K1 race fell to Andy Birkett from Kime and Khwela, with Laura O’Donoghue taking the women’s title. The race was shaken by the drowning on the second stage of seasoned Dusi paddler Heini Jordaan, taking part in his 19th Dusi, in a tragic accident above Big Bend rapid. 2016’s K2 clash was a much anticipated one with one of the deepest talent pools gathering for the year’s PMB to Durban battle that also welcomed financial giant First National Bank (FNB) onboard as the event’s title sponsor for the first time. Amidst severe drought conditions, Andy Birkett raced to his sixth Dusi crown in seven years when he and Lance Kime overcame Hank McGregor and Jasper Mocké. After Banetse Nkhoesa suffered a life threatening stabbing incident in his Shongweni home in the December before the race, the emerging star made a remarkable recovery to partner a determined Sbonelo Khwela to third place. Abby Solms (nee Adie) finally ridded herself of the ‘Dusi Bridesmaid’ tag when she claimed the women’s crown to go with Solms’ six consecutive runner-up efforts between 2009 and 2014 while her victorious partner, Anna Adamova became the race’s first ever international winner.